How does NAHTM help you? NAHTM is the recognized source for hospital based, patient transport management. 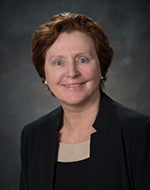 The NAHTM organization provides many benefits and opportunities for its members to further their own professional development, improve the skills and performance of their staff, as well as the overall improvement of department practice. NAHTM is exploring creating a profession-wide certification. In order to apply professional standards, and increase the level of practice, NAHTM is exploring establishing certification for patient transportation team leads, supervisors, managers and executives. 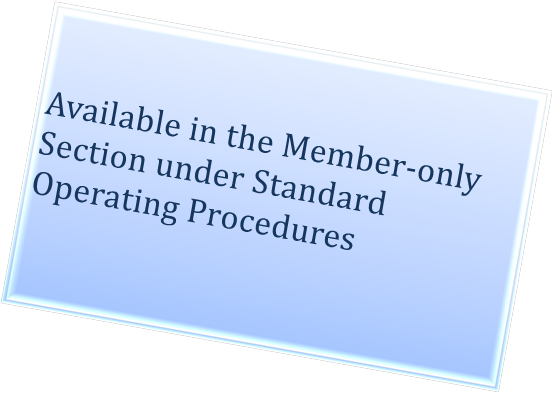 This is intended to be portable to all places a certified professional might work. Attend the 2018 Annual Conference to learn more at the unveiling of the certification program. NAHTM exists to promote the profession of patient transport management. NAHTM’s current activities include holding regular conferences for the presentation and discussion of new research results, best practices and case studies. NAHTM has collaborated with Innovative Publishing to create and produce an academic Journal of Patient Transportation scheduled for a summer 2018 publication. 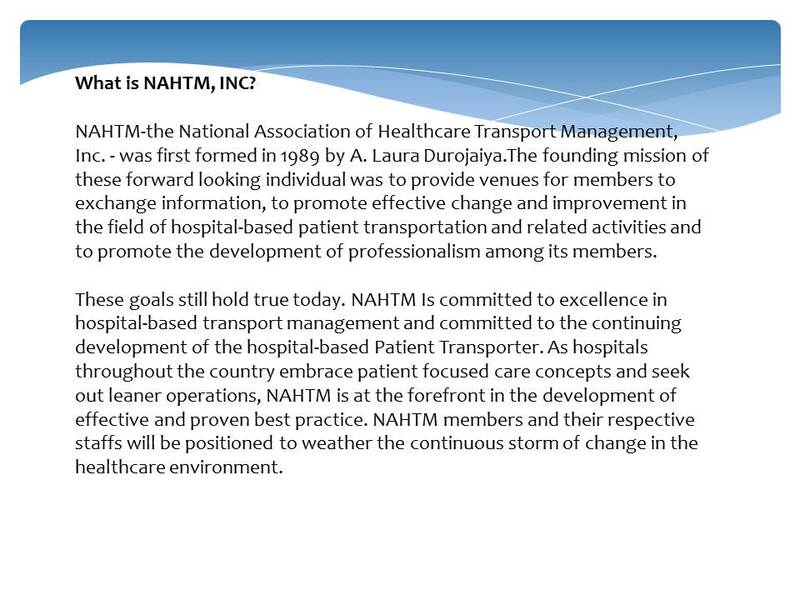 The National Association of Healthcare Transport Management (NAHTM) is composed of management personnel from throughout the United States, Canada and Brazil who are responsible for the transportation of patients in hospital settings. Leadership Webinar - "COMING SOON IN 2018"